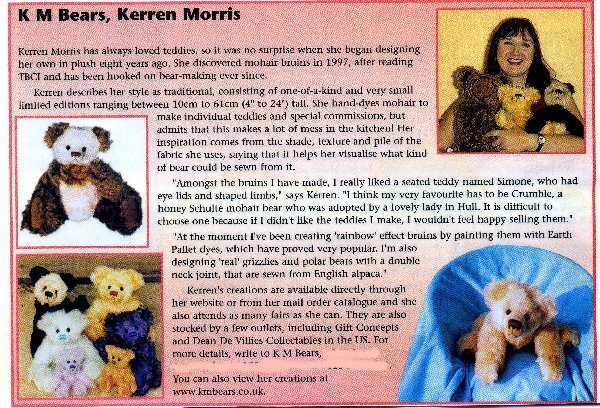 Featuring my Original design traditional, contemporary, realistic and miniature mohair & Alpaca Teddy Bears. 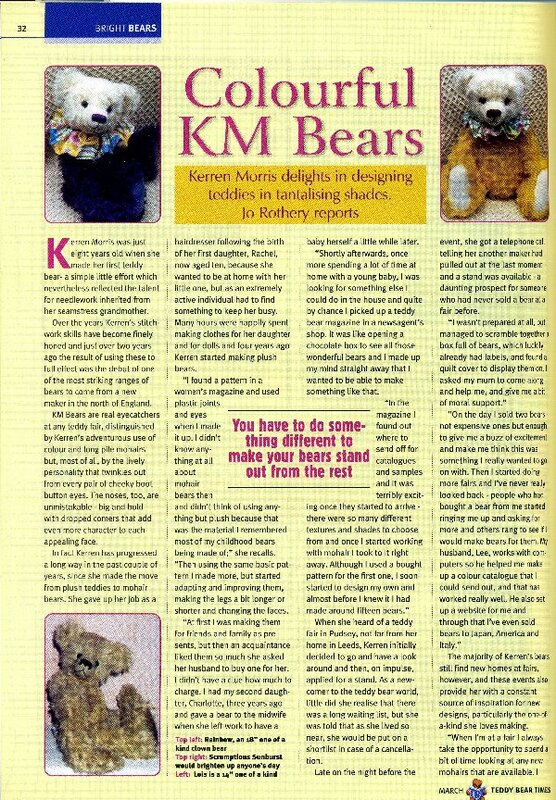 Bears with "Bearsonality" by Kerren Morris All my bears are intended for adult collectors only and are not suitable for children under 14 years old. All patterns are of my own original exclusive design. 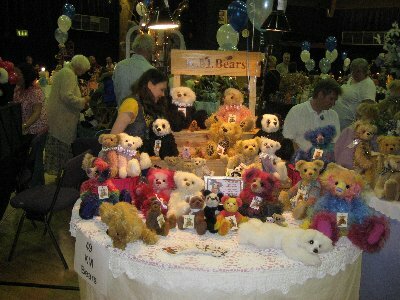 The bears are hand crafted by myself from the finest materials, in a smoke free environment. Filled with Peacock Fibres super polyester fibre fill conforming to BS5852C. 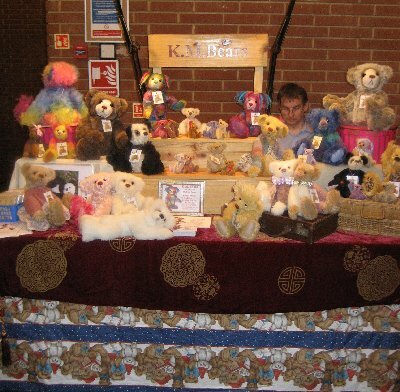 Home made in Farsley, Pudsey, Leeds (UK) near local beauty spots such as the Historic market town of Pudsey, Kirkstall Abbey, the river Aire, and the Yorkshire Dales. 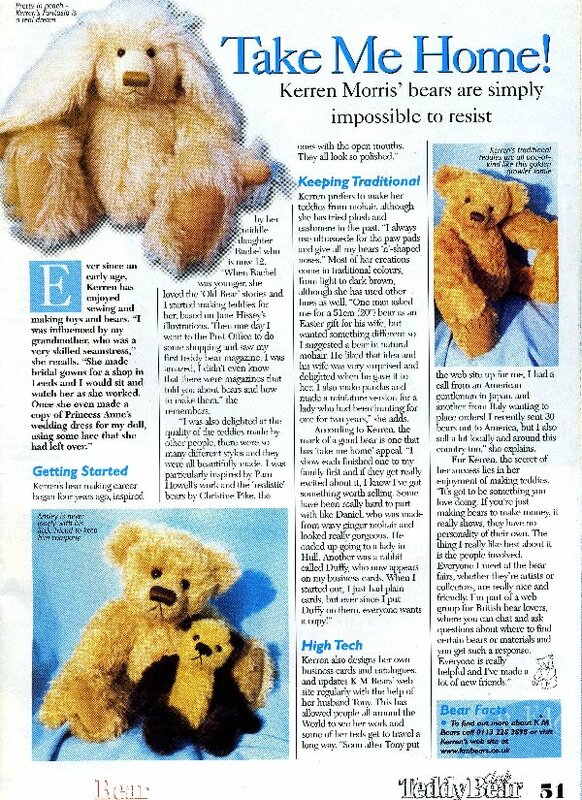 I have been sewing since I was very young and started making bears in 1994. 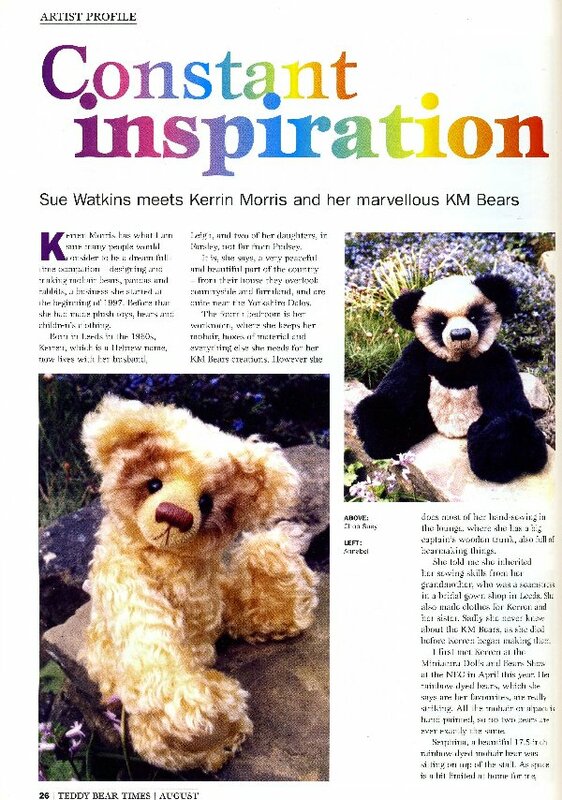 I have been creating and hand crafting mohair bears since March 1997. Sizes range from 4"- 25". 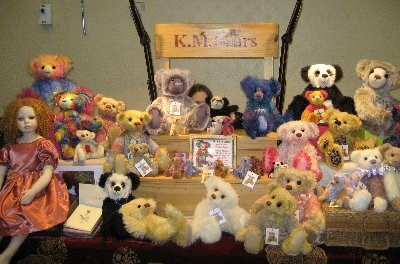 K.M.Bears have been adopted to UK, USA, Canada, Australia, Italy, France, Belgium, Japan & Switzerland. 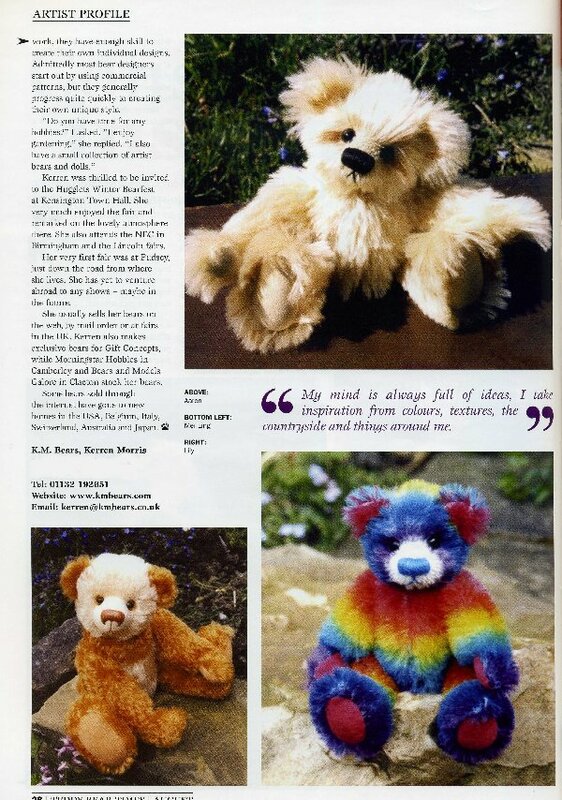 My bears have been featured in the UK magazines Teddy Bear Times, Teddy Bear Club International and Teddy Bear Scene. 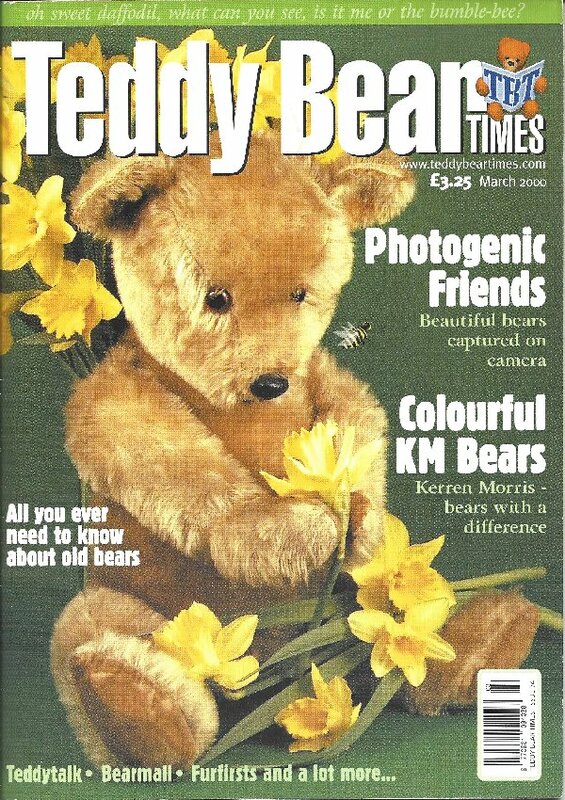 I am proud to have been featured in these magazines. Unfortunately the scanning process has left them a bit fuzzy. 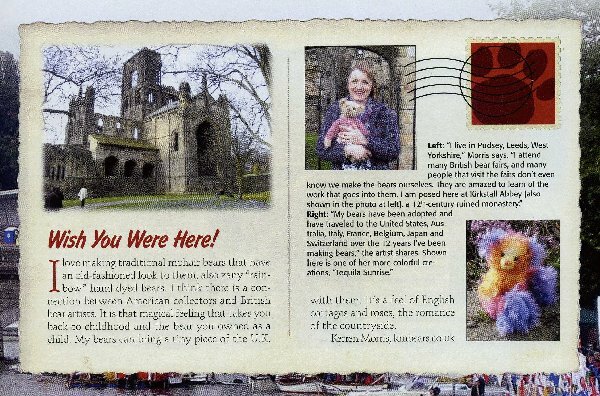 TEDDY BEAR REVEIW AUG 2009 "Post cards across the pond"
All my bears are one of a kind unless otherwise stated. 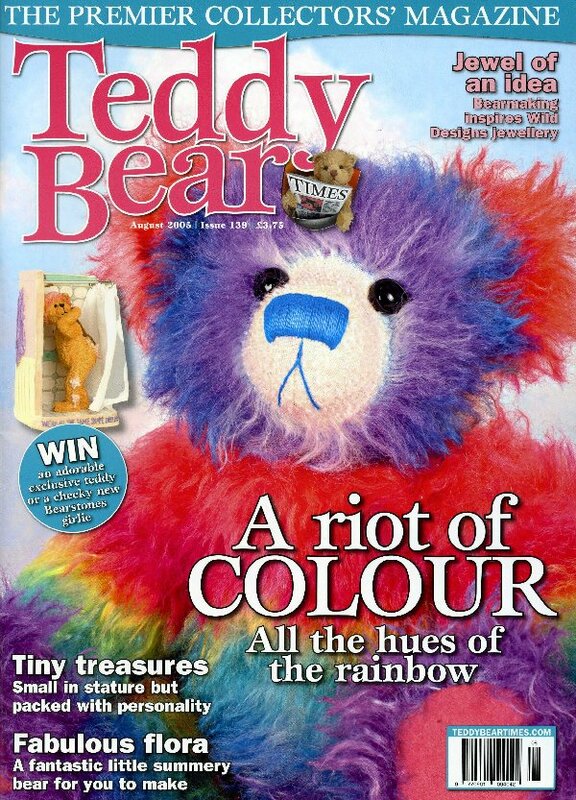 The colours of the bears may vary slightly from the image on your screen due to the photographic processes used. 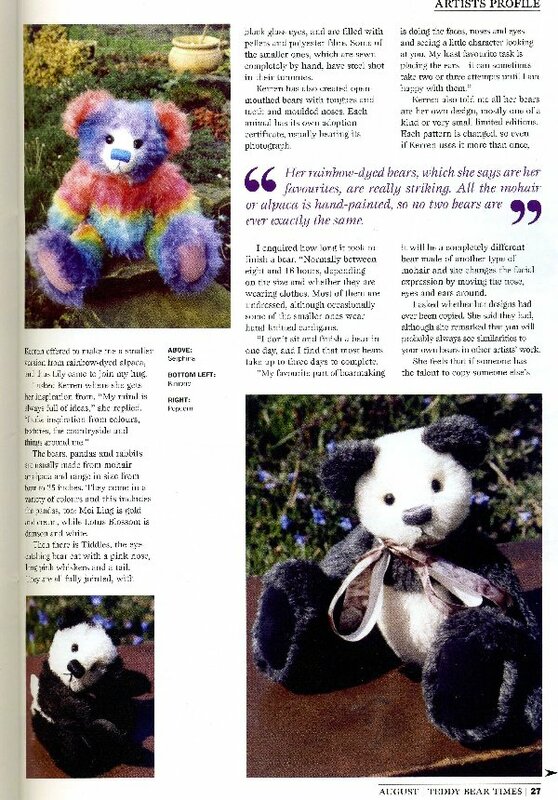 Lay-a-way is available in the UK only, I normally require a minimum non-returnable holding deposit 25% GBP per bear on initial orders for commissions and lay-a-way. 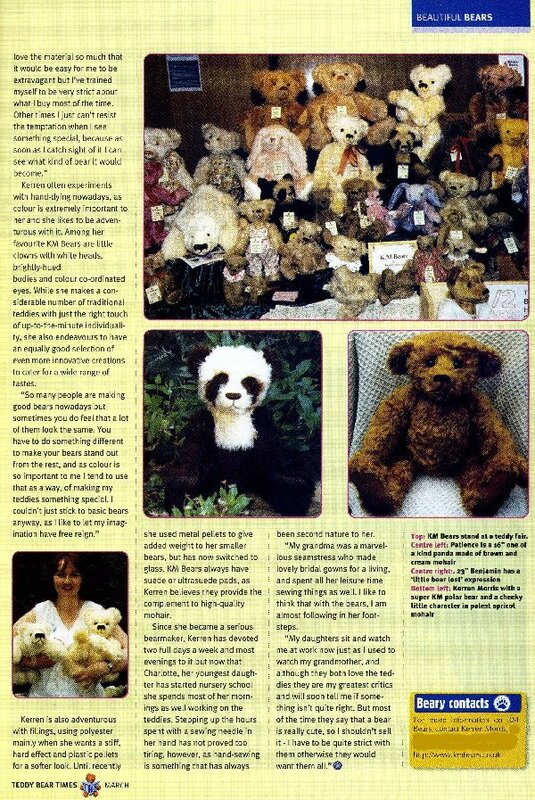 Bears will only be held for one week without a deposit and completion of payment within three months would be appreciated. 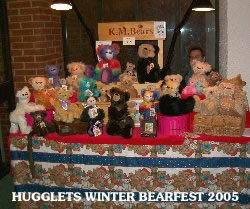 Bears can be paid for in three equal monthly payments with the postage/shipping added to the final payment. For commissions a 25% deposit is required on receipt of your order, the balance to be paid when your Teddy is ready to travel. 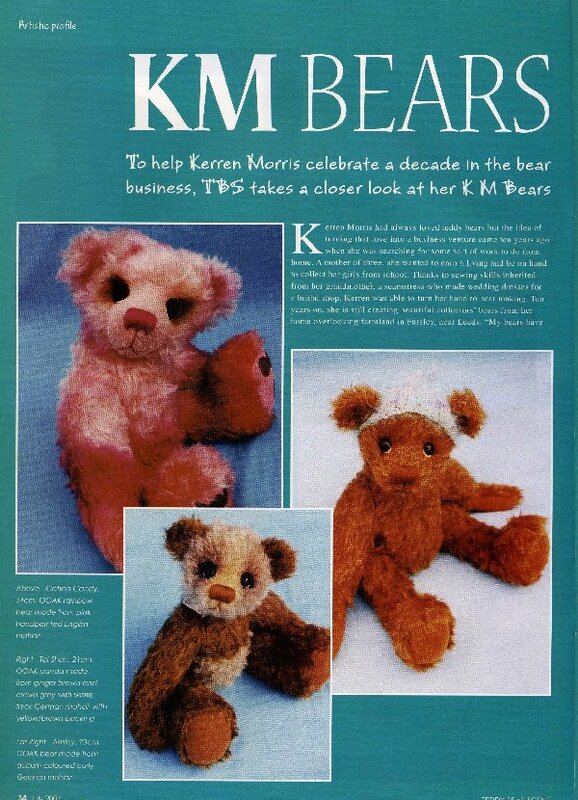 Payments should be made out to K. Morris by Cheque. Please allow five full working days for your cheque to clear from receipt before delivery. Thank you. Please note that should you cancel your order prior to shipment the initial deposit is non-refundable but all payments over and above this will be refunded in full. 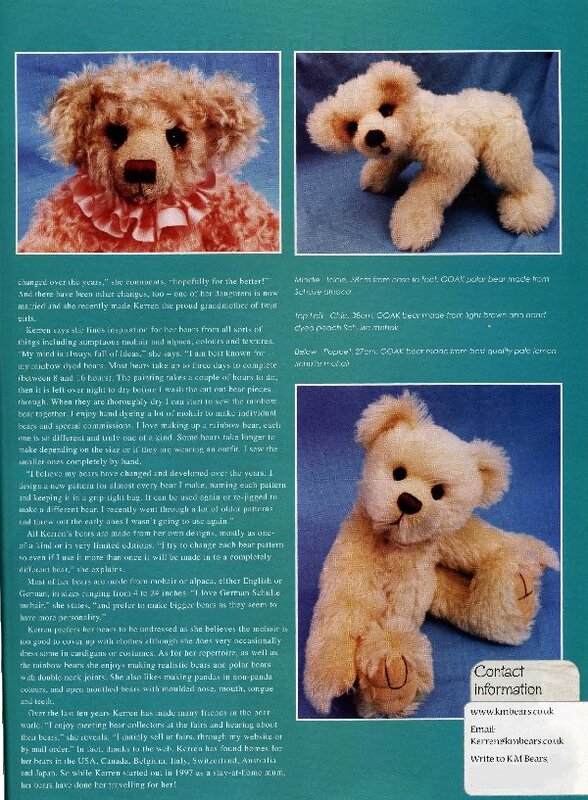 If you are not entirely satisfied with your Bear when he/she arrives you may return him/her back home (in its original condition) within 7 days for a full refund excluding postage. Please email first for confirmation. It is advisable to insure your parcel, I am sorry but postage is non-refundable. 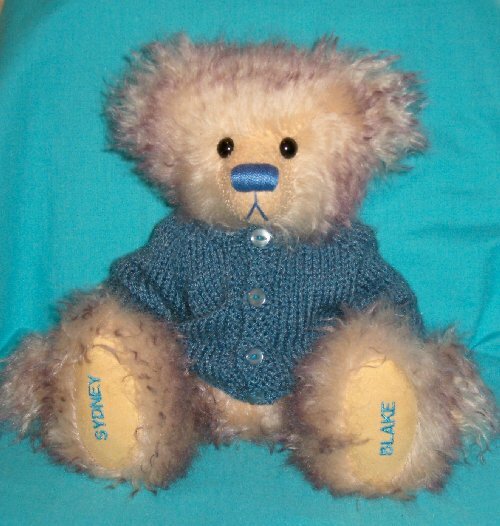 AND HAVE YOUR NAME EMBROIDERED ON THE BEARS FOOT PAD.